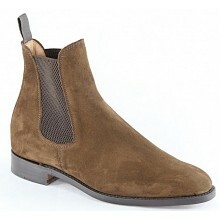 Mens Sanders Shoes. All orders come with FREE UK DELIVERY! 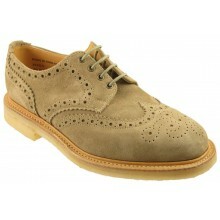 The Sanders shoes company was founded in 1873 in Rushden, Northamptonshire. 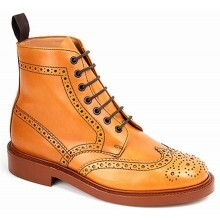 Two brothers Thomas and William Sanders had the aim of producing high quality footwear for the gentlemen of England. In fact the company was initially established as Sanders and Sanders Ltd.
Their continual desire to produce footwear of a high standard has resulted in Sanders & Sanders Ltd being awarded the coveted IS09002 (B55750) Quality Assurance accreditation. As with nearly all of the Northamptonshire Mens Shoes manufacturers the majority of their footwear is made using the Goodyear Welted method. 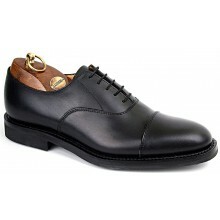 Sanders shoes have a fine reputation for developing a range of mens footwear to cover a Gentleman's requirements. The Sanders Uniform collection are famous amongst Police, Military and Security forces worldwide, whilst the Country range and Diplomats selection are continually sought after. 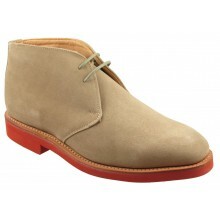 Sanders shoes and boots are now sold in over thirty countries across five continents.